We offer traditional Southern family recipes at Merk’s Tavern & Kitchen, our new all-day restaurant, serving breakfast, lunch and dinner daily, with food and drink specials Monday-Friday. Merk's features a fun and friendly casual dining experience with a diverse menu of creative American cuisine with a true Southern flare. Meet up with friends for cocktails to catch the sporting event of the week on our impressive 82" LCD TV, especially Alabama or Auburn football games. Experience Merk’s Tavern & Kitchen for breakfast, lunch or dinner, located on the lobby level in the gallery at the entrance to the mall. Merk’s boasts a fun and friendly casual dining experience with a diverse menu of creative American cuisine with a true Southern flare. Relaxed with friends and take in the game, or enjoy a comfortable evening with family in a friendly Southern atmosphere. 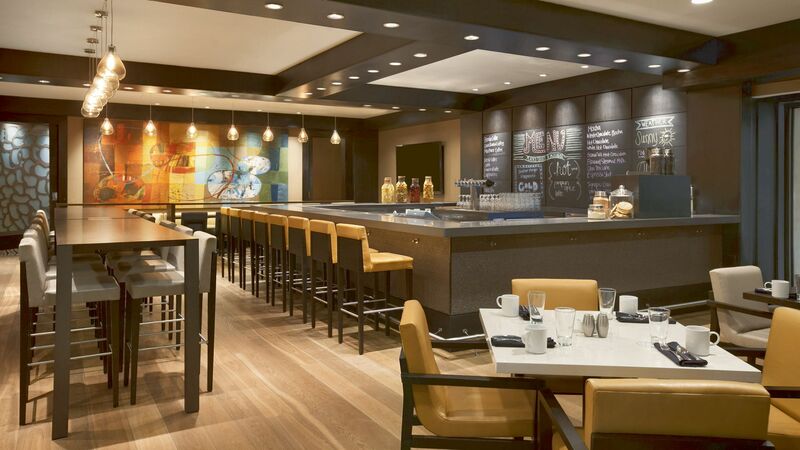 Plug into Merk’s complimentary Wi-Fi and interact with fellow diners at one of the two communal tables. Enjoy a local Alabama hand crafted beer on tap or a glass of wine while watching the game on our TV’s. When you settle in you come home to Merk’s Tavern & Kitchen. We look forward to serving you.